Inevitably, there exist a horrendous number of cyber threats in this age of information. Battling a whole lot of cyber terrors from taking its full spawn is a call for everyone, though not all can expertly do so. EC-Council offers an optimal footstep in becoming a professional in the field of information security. To acquire its certification requires steps that would test how well-equipped you are in the specialty you’ll choose to take. Moreover, here, the very skills required in becoming a security expert will be honed to its finest form and will open you in having remarkable endorsements from numerous organizations. The internationally recognized E-Commerce Consultants Council has produced thousands of certified individuals globally, and famously owns the topmost of information security programs such as the CHFI, otherwise known as Computer Hacking Forensic Investigator, CEH or the Certified Ethical Hacker, among others. Achieving an EC-Council certification leads to one of the most premium organizations worldwide – with the likes of IBM, the FBI along with several government agencies. Based on your preferred domain, you can select from a series of distinguished EC-Council Certifications. And let’s say you’re done selecting your certification, a step by step instruction to prove your eligibility is what you later need to undergo. All these processes are important in keeping pace with the certification program. In whatever career path you have in mind, a certification from any of these domains is required. One can begin with Certified Secure Computer User which falls under the Entry-level and proceed to the EC-Council Certified Security Specialist certification. Here, your proficiency as a security professional along with your networking capacities is highly acknowledged. You’ll be exposed to a great number of dangers threatening the domain of network and computer security, such as the different scams, losses, and viruses that are lurking anywhere the Internet is. It’s targeted mainly to individuals who are constantly wide-open to the Internet, and the certification gives verification to the applicants’ savoir-faire in their information properties. Individuals aging 13 years old and above are qualified to receive the training and exam. CSCU exams run for 2 hours with a total of 50 questions made accessible at the ECC Exam Center. For one to become a certified Secure Programmer, one must be well-armed with the necessary skills in developing and understanding applications. Basically, it’s all about securing the application from unwanted errors and risks as well as writing a code securely. Only candidates above 18 years of age are considered eligible to undergo the training and exam unless specific requirements are undertaken. Next to ECSS credential would be the Certified Ethical Hacker considered as a well-known and essential profession with regards to the whole network infrastructure. Although hackers are multiplying everywhere, so do ethical hackers! 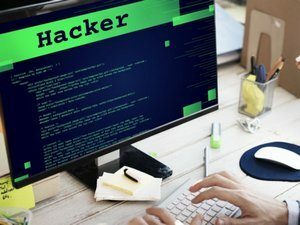 Compared to the havoc-wrecking hackers, the job of ethical hackers is to assess target systems by looking into its weaknesses and skillfully responding to it. Geared to further sharpen the finesse of a penetration tester, a penetration testing course known as ECSA v10 is prepared for qualified individuals who can capably meet the requirements. To be a named as a Licensed Penetration Tester, you must pass the highly acknowledged thought-provoking Licensed Penetration Tester (Master) practical exam. Your skills in writing reports and technical analysis are critically tested. Successful passers are trained to the depth of their capability to examine and respond a network’s security position. Other certifications offered by EC-Council are provided below. In addition to that, EC-Council’s Career Path is an expansive channel composed of five levels, namely Fundamental, Intermediate, Advanced, Specialist, and Expert. First off, it starts with the program Certified Secure Computer User which sets a step forward in understanding the fundamentals of network and computer security. Here, one can select from a career of being an EC-Council Encryption Specialist or EC-Council Security Specialist. For this program, professions such as Certified Network Defender, Certified Ethical Hacker, EC-Council Certified Security Analyst and Certified Network Defense Architect await your dedication and competency. Under the Advanced Programs include the Licensed Penetration Tester, Advanced Penetration Testing [CAST 611], Advanced Securing Windows Infrastructure[CAST 616], Advanced Mobile Forensics and Security [CAST 612], Advanced Hacking Hardening Corporate Web Apps[CAST 613] and Advanced Network Defense[CAST 614]. Computer Hacking Forensic Investigator, EC-Council Certified Incident Handler, EC-Council Certified Secure Programmer Java, EC-Council Certified Secure Programmer.Net and EC-Council Disaster Recovery Professional fall under this career path level. EC-Council provides a Certified Chief Information Security Officer program important extremely in information security. Moreover, EC-Council also offers graduate certificate programs, graduate course as well as the post-graduate course. Prior the examination date, candidates need to agree with EC-Council policies that are integral to the certification program. These policies include the Non-Disclosure agreement (NDA), EC-Council Certification Agreement and Security and Integrity Policy. Following each is vital in upholding the security, property, and name of the certification. EC-Council wouldn’t be recognized worldwide if not for its trustworthy information security know-how. Encircled in the organization’s expertise include the superior education one can get subsequent to the training and certification. Because of this, it’s only expected that the exams prepared for possible candidates are of high-quality and are designed to extensively challenge individuals to meet the high demands of cybersecurity. Of course, a sound knowledge on information security complemented by specific age brackets is required to become an eligible candidate. Beginners who are interested to enter the field of information security can best choose the CEH or the Certified Ethical Hacker Certification. Excluding exams that are based on ECSAv9 and LPT, each EC-Council examinations are accessible in ECC Exam Center. Scheduling your exam can be done so through authorized testing centers. Besides, you can also decide in having ProctorU remotely proctor your exams. Exams for ECSAv9 and LPT (Master) can only be accessed through Aspen portal. Considering the dangers lurking in the cyber world, the need to have the most qualified security professionals is on the rise. Through EC-Council certifications, your expertise in IT Security will receive a noteworthy validation in various corporations. Being a certified security professional starts and ends with the powerful training and education EC-Council provides as proven by its best-known certification.